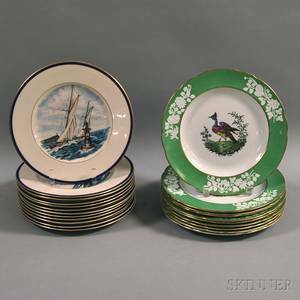 Realized price for A Set of 6 R.
Seven Rodeo Buckles and a Pair of Spurs. 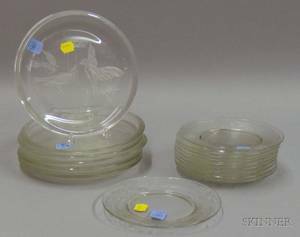 A Set of 6 R. Lalique Glass Plates. 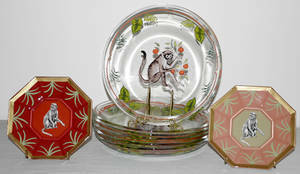 Signed bottom rim "R. Lalique France W472". 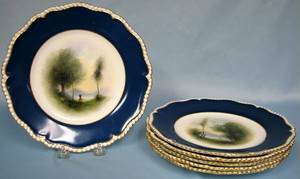 Octagonal luncheon plates with floral, leaf and grape decoration and a blue tinge. 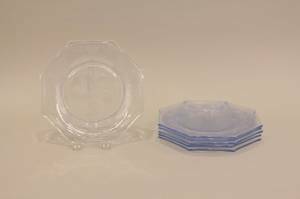 Archived auctions similar to A Set of 6 R. Lalique Glass Plates. 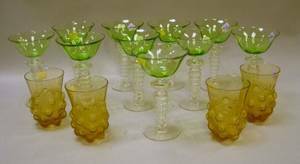 Set of Ten Steuben Green and Colorless Glass Cocktail Glasses and a Set of Four R. Lalique Amber Molded Glass Tumblers. 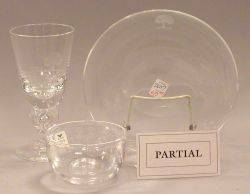 Set of Six Etched Colorless Glass Plates and Ten Etched Underplates. 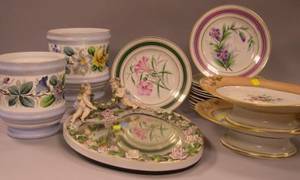 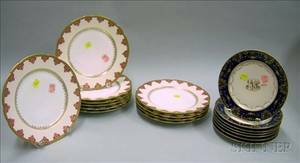 Set of Eleven Limoges Decorated Porcelain Plates and a Set of Seven Dresden Decorated Porcelain Plates.